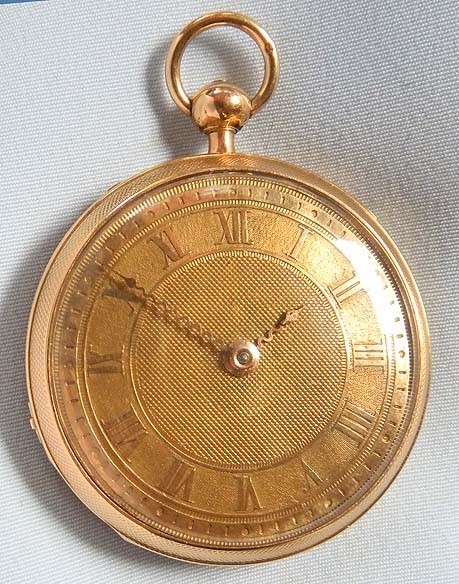 Very fine and unusually small continental 18K gold musical quarter repeater antique pocket watch circa 1820. 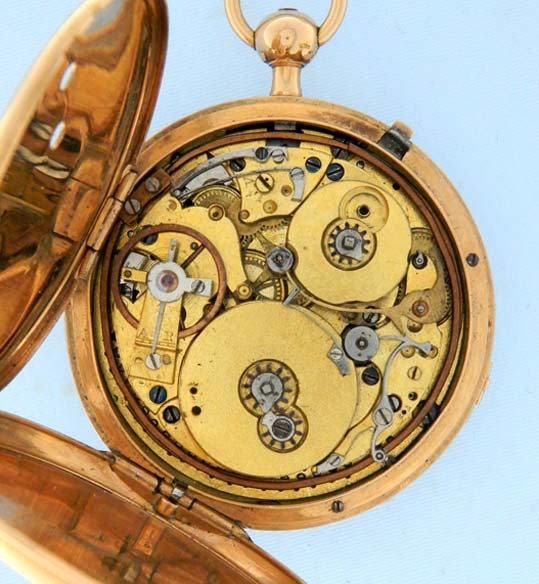 Gold engine turned dial with gold serpentine hands. 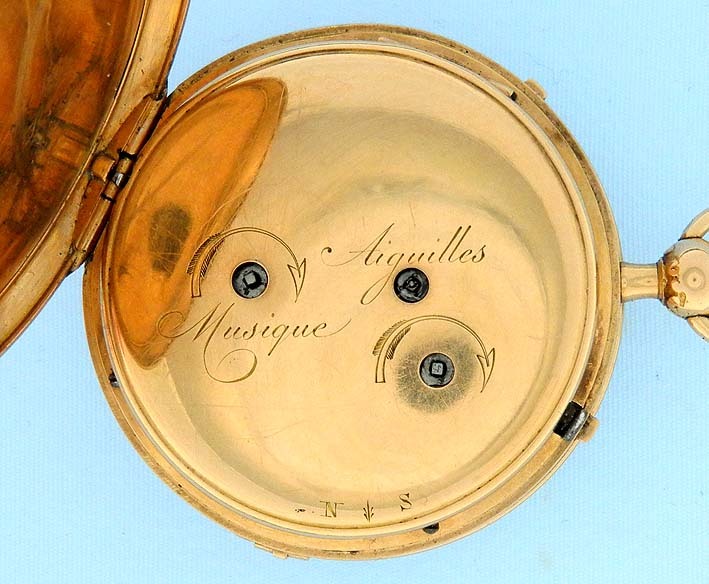 Engine turned case with spring-hinged back and slide in the band to play the music at will. Gilt cylinder movement missing the lever that silences the automatic music on the hour. This watch plays a lovely musical tune with a minimum of mechanical noise. 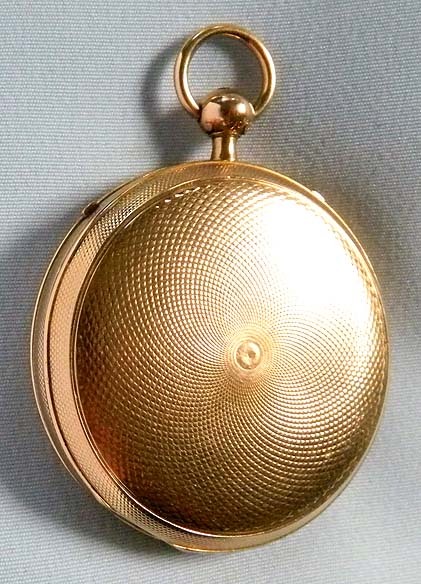 When the pendant is depressed it chimes the hours and quarters on two gongs with good clear tones.